Getting antsy about the Winter Flea & Craft Market at the Fairgrounds? Be sure to mark your calendars for December 1st and buzz over to the Fairgrounds this Saturday from 9am-1pm! The American Legion Auxiliary will have a booth serving breakfast and lunch from 8:30am to 1:00pm with proceeds going towards their scholarship fund, which is open to all seniors. 4H will be selling baked goods, and the Class of 2019 will be selling holiday wreaths. We are hosting a Gingerbread House Contest (entry forms are due by Friday, November 30th at 5pm). Gingerbread houses will be on display during the Flea & Craft Market on Saturday to get you in the holiday spirit (and you can vote for your favorite). 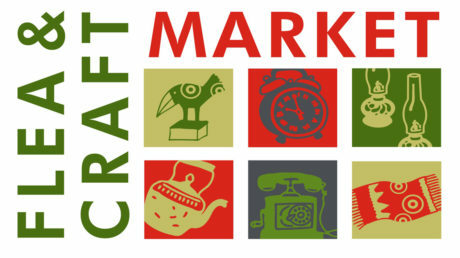 Craft vendors will be selling handmade goods, such as jewelry, journals, ornaments, hand knit & crocheted items, ceramics, reusable bags, eye masks, cleaning supplies, soaps, paintings, frames & sculptures. Our flea market vendors will be selling household items, children’s books, clothing, accessories, furniture, antiques and collectibles. In other words – it’s going to be a great (BIG!) Flea & Craft Market you won’t want to miss! For more information, please visit www.sjcfair.org or call 360-378-4310.